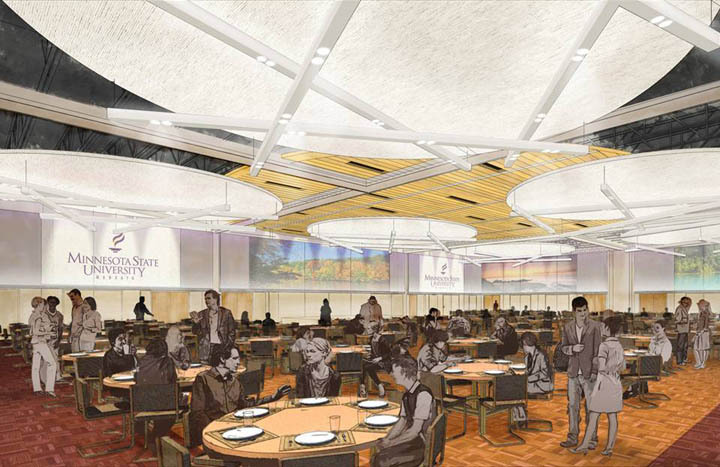 Construction is underway on a $4.5 million renovation that moves the Centennial Student Union Ballroom at Minnesota State University, Mankato into the 21st century of lighting and technology. 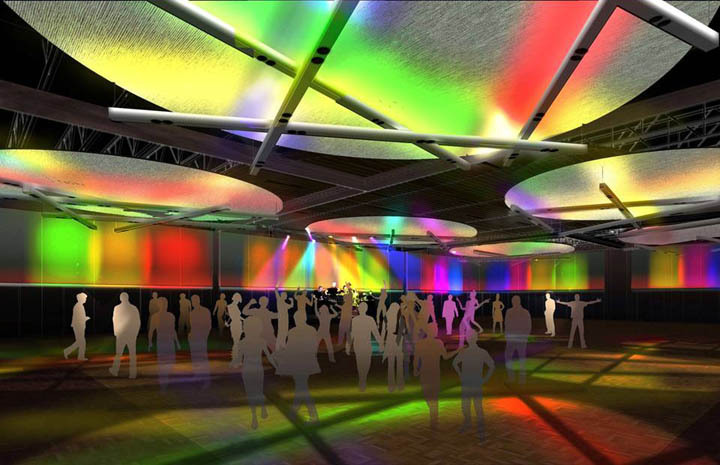 The only remaining area of the CSU unaltered from its original 1967 design, the ballroom will undergo a bright facelift. Existing dark wood wall accents and a “moon crater” ceiling reminiscent of the ‘60s space race will be replaced by energy efficient lighting and walls that double as viewing screens for 17 digital projectors. Laurie Woodward, director of the CSU, said no state-appropriated money is being used for the $4.5 million project awarded to Ebert Construction of Corcoran, Minn. The CSU, which operates under a budget financed through student fees and other generated revenue, is partially funding the renovation through a $2.5 million revenue bond. The remainder is funded through CSU savings. Woodward said Student Union Board -- the CSU governing board comprised of University students -- as well as the Minnesota State Student Association which oversees the student fees budget have participated in the design process and approved funding of the renovation. “We are able to do this without raising student fees,” said Alexi Roskum, president of the Student Union Board. Student fees will not be impacted since renovation removes a substantial amount of costly deferred maintenance issues. Woodward said the renovation upgrades include new high efficiency heating, ventilation and air conditioning systems and a new roof for that section of the building. Woodward added that the “fun part” is the ballroom’s new technology. “It’s tech design with an eye to the future,” she said. The design team led by Kaas Wilson Architects of Minneapolis includes lighting consultants Shuler Shook of Minneapolis and technology consultants Elert and Associates of Stillwater, Minn.
Major lighting improvements include a combination of high-efficiency, high-intensity metal halide lighting for overall brilliance and dimmable halogen lamps for proper ambience. Ballroom walls will be accented by LED lighting capable of interacting and changing with audio and projected video. “At a fraction of the energy cost, this new system will provide bright ballroom lighting as well as interplay of colored mood lighting for accenting everything from banquets to concerts,” said Michael Cohen, principal lighting designer for Schuler Shook. Dark wood slats currently lining the outside walls of the ballroom will be collected and reused to create a centerpiece ceiling fixture. Scott Hagebak, CSU facilities director, said the ballroom’s parquet wood floor will not be replaced but rather refinished with the outer eight feet of the floor stained to a dark walnut shade. New retractable walls with enhanced sound barrier design will be installed with the ballroom still capable of being divided into three main sections. Two new dividing walls will also allow each of the side sections to be split. The projection room will be converted into a glassed control room overlooking the ballroom. 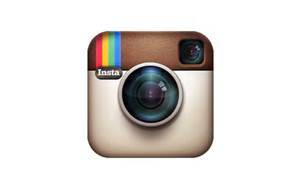 Wood-covered walls will become white fabric walls that double as projection screens. Plans include 17 mounted digital projectors with technology for creating continuous, “stitched” video projected on the outer walls. The technology provides the capability of surrounding visitors with 360-degree scenes. Remodeling will extend to the ballroom lobby where the exterior wall of the ballroom will be covered by Minnesota kasota stone. The back wall of the lobby will feature three interactive information stations dedicated to telling the University’s “Big ideas. Real world thinking” story. A new multifunction space will be added to the lobby to serve as a ticket booth, concessions area, and staging area for catering. 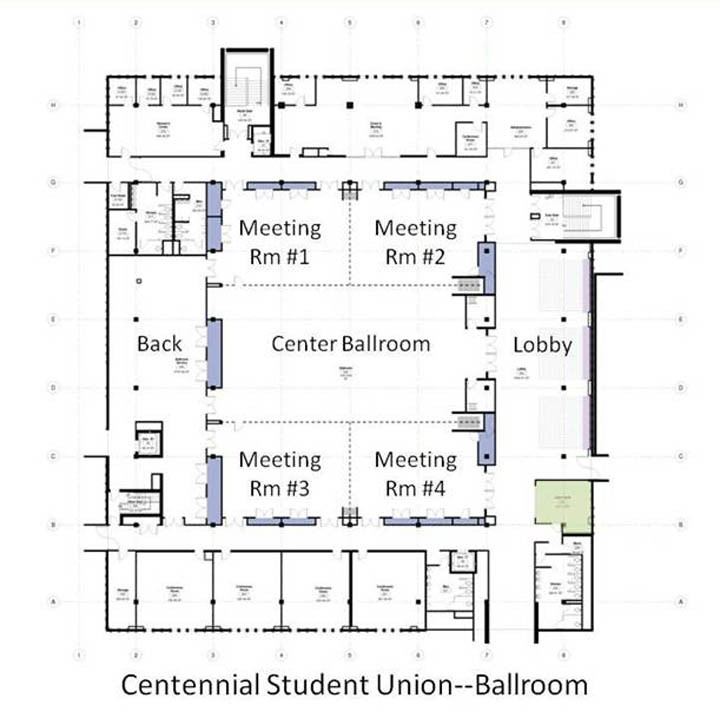 To accommodate a portion of the renovation, the CSU Administrative Offices, Scheduling, Dining Services and the Women’s Center will be relocated during the summer to the CSU Conference Rooms 201-204. Traffic in the construction area will be limited with access to the second floor construction area available only by the grand staircase at the south entrance of the CSU. Work on Ballroom is targeted for completion in time for Homecoming 2011. The ballroom will maintain the capability of being divided into three sections using sound barrier retractable walls. Renovation includes two new retractable walls that will split the ballroom's side sections creating an option for smaller meeting rooms.